Fall TV is back and I know I can’t wait for a few of my favorite shows and some quality TV time. I don’t watch nearly as much TV as I used to with reading and candle-making but I still have a few favorite shows that I never miss! If you like LEVERAGE, try HEIST SOCIETY | I made a specific note during my read of UNCOMMON CRIMINALS, the second book in the Heist Society series, on how much it felt like Leverage! I love the heists and amazing crew throughout. If you like CHUCK, try ALSO KNOWN AS | Both Chuck and ALSO KNOWN AS have such a fun feel to them! They both have spy aspects and although ALSO KNOWN AS isn’t quite as outright geeky as Chuck, I think the tone fits really well as a book recommendation! If you like THE BIG BANG THEORY, try THE GEEK’S GUIDE TO UNREQUITED LOVE | Oh, this book was so much fun. One of my favorite parts was all of the totally nerdy debates that these characters get into, much like the characters on Big Bang! Plus, the whole book takes place at Comic Con! If you like LOST, try NIL | I’ve always thought NIL was a great Lost companion! Teens are stranded on a deserted island and no one understands how they got there. The island really starts to become a player in itself and there are some interesting science-fiction things happening! If you like HEROES, try STEELHEART | I like STEELHEART for a Heroes recommendation because it really plays with the concept of power being used and misused. There are good “epics” (superheroes) and bad “epics) in STEELHEART and I love how there are so many unique characters, powers, and situations. If you like GALAVANT, try MY LADY JANE | I mean… historical satire. Can you really get much better? If you like SLEEPY HOLLOW, try HOLD ME CLOSER, NECROMANCER | HOLD ME CLOSER, NECROMANCER is fun, cheeky, and full of supernatural creatures! It doesn’t have the historical aspect that SLEEPY HOLLOW does but the humor and supernatural is a great match! If you like ELEMENTARY, try LOCK & MORI | I love the contemporary takes on Sherlock Holmes! I haven’t watched a ton of Elementary but I think LOCK & MORI is a good fit with so many modern takes on the classic characters and some gender-swapped characters (Watson for Elementary, Moriarty for LOCK & MORI). If you like GUILT, try DANGEROUS GIRLS | This is actually sort of a recommendation in reverse… I have Guilt on my DVR but haven’t gotten to it yet but I taped it JUST because I loved DANGEROUS GIRLS so much and it sounds like an amazing fit! If you like DEXTER, try THE FEMALE OF THE SPECIES | Alex is sort of a female Dexter but I also really appreciated the ways they were different. Both main characters are antiheroes and seek justice for all of the heinous wrongs they encounter. They also both start to develop normal feelings for the new loved ones in their life, appealing to the feeling-side. What are your book recommendations for fans of a favorite TV show? Have you read any of these books and agree? This entry was posted in Books, Top Ten Tuesday, YA and tagged Books, Top Ten, top ten tuesday, TV, TV Shows, YA, Young Adult on September 6, 2016 by Brittany. Welcome to our third annual FORTNIGHT OF FRIGHT event! 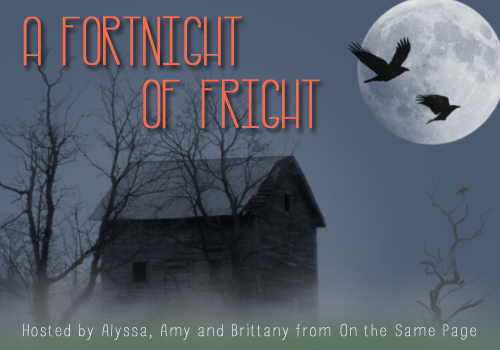 Two years ago, Alyssa (Books Take You Places) and I really bonded over our mutual love of Halloween and came up with the idea for A FORTNIGHT OF FRIGHT: a two-week long event celebrating everything Halloween and horror-related! We decided to bring it back again for the third annual Fortnight of Fright event, this time along with Amy (Tripping Over Books), so this event is brought to you by all of the gals from On the Same Page! Today we have Stephanie from Her Reviews of Books, Movies, and Everything talking about all of her favorite TV episodes with a Halloween theme! You guys are in for a treat because some of these are my favorites too and ones I try to watch every Halloween! Hello everyone! I’m Stephanie and I blog over at Her Reviews of Books, Movies, and Everything. If I am not reading or spending time with my family, then I probably am watching TV. I love watching TV shows. I have been known to binge watch entire series, rewatch series repeatedly (like Veronica Mars/Gilmore Girls/Friends…) and I like to watch holiday episodes around the given holiday. I don’t really do horror that much. I get scared pretty easily. (To the point that I sometimes get picked on because of how scared I can get even from TV shows or movies). So I don’t watch a whole bunch of scary TV Shows. So I am going to share some of my favorite Halloween Episodes that are primarily Comedy related. I love them dressed up in their Halloween costumes! 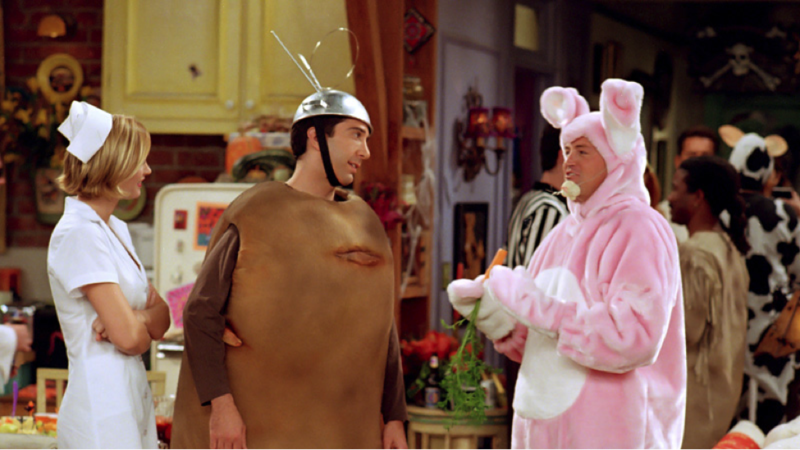 Seriously, I love the costumes that Ross, Joey and Chandler wore the most! This episode makes me laugh every time I watch it. 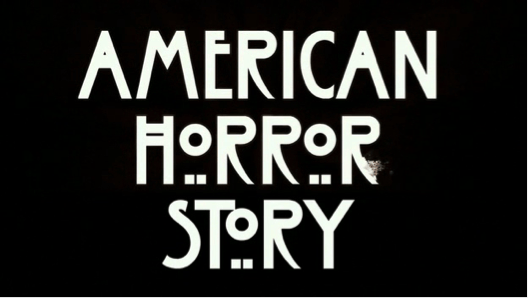 This show has three Halloween episodes and I enjoy watching them all. 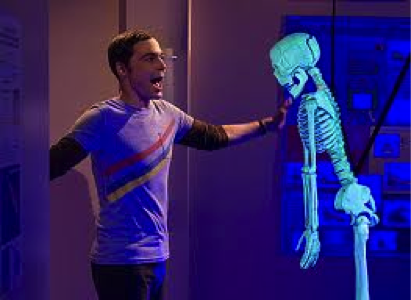 This episode is fun to watch because it is in the first season of the show. And the guys get invited to Penny’s Halloween party. I love the costumes that they were and I get a kick out of them trying to socialize with others. This episode is fun to watch because the guys are all playing pranks trying to scare each other. Growing up I loved this episode. But back then, it definitely scared me at times. I love that I was able to laugh but still get chills watching it. I am no longer find the episode scary, but I do find parts of it to be funny. And I LOVE watching it still at Halloween time! I love all three of these episodes! And I think my favorite thing from all of them have to be the costumes that Marshall and Lily wear as well as ALL the costumes that Barney wears. This show really makes me laugh. Out of the three, I think that The Slutty Pumpkin is my favorite, but I think that all three are worth a watch. I love this show, very much. And so far there have been two Halloween episodes. I like this episode because it is funny. Jess gets a job working in a Haunted House. And I really enjoyed getting to see the characters all dressed up. This episode is funny also. Jess throws a Halloween Party. 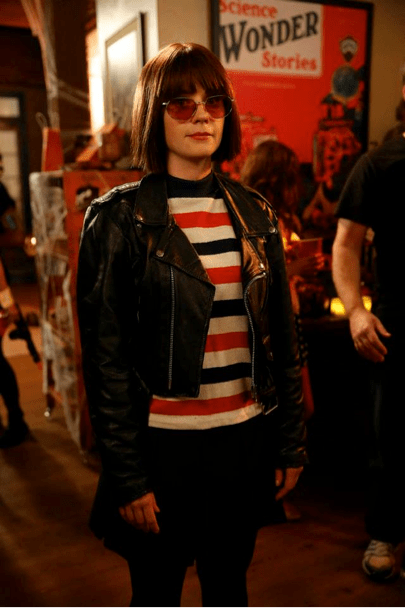 I love that Jess dresses up as Joey Ramona Quimby. So funny. And I also love how they try to cheer up Schmidt. This isn’t an episode to make you scared, but one rather to make you laugh and remember why Halloween Parties can be fun with a bunch of friends. And before I go, I wanted to share a list of some TV shows that I think you could watch pretty much any of the episodes to get in the Halloween Spirit. If you don’t know what Supernatural is about: There are two brothers and they travel around hunting Demons, Ghosts, Vampires, Shapeshifters, etc. I am behind on the show (like season seven and they are now on season ten). But I think this is a great show to get a little spooked by (or if you are me, really spooked by!) The first couple of seasons are by far my favorite, but I still enjoy watching the show. Love me some Dean…and Sam. I think currently the episode that has scared me the most is: Bloody Mary. (Season One, Episode Five) Sure, I have been scared by other episodes of this show, but that one…I still don’t rewatch it, I usually skip it. I love this show. This show is older, it was originally on the air from 1997 to 2003. It is about a girl that slays Vampires. But there are other things in the show too. Demons and such. It can also be funny at times and I really like the cast. I think this was the show that made me interested in reading Paranormal books. 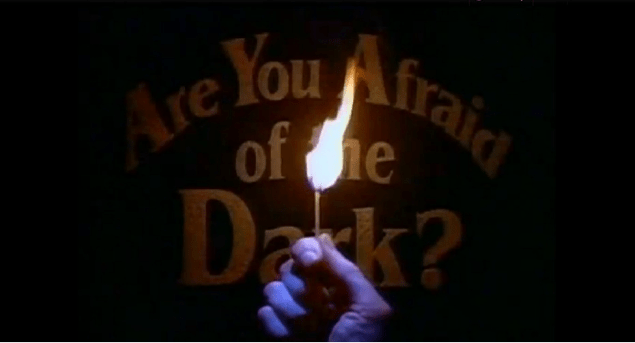 I remember watching this show when I was younger and it scared me a lot. I also remember that there were stories on cassette tapes and we used to listen to them in my BFF’s Mom’s van when she would drive us places. Currently, you can watch the episodes via Amazon Prime. I DON’T watch this one AT ALL. I have heard that it can be scary and have been told by several people that I won’t like it much. But if scary/horror is your thing and you haven’t seen this show…you should probably check it out! I know a lot of people like it. And who knows, maybe someday I will give in and try watching an episode. After typing all this up, I have realized that I REALLY LOVE seeing the costumes that the characters wear! I find them funny and sometimes really original (Ross and Jess for example.) And I love the fun aspects of Halloween more than getting scared. Thank you so much Brittany and On The Same Page for letting me visit for A Fortnight of Fright and share my favorite Halloween TV Show episodes with you! And I hope you all have a Happy Halloween! A big thanks to Stephanie for sharing her favorite TV shows! They’re also some of mine too. I always love Friends and I can’t believe they had so many Thanksgiving episodes and only one Halloween episode! Boy Meets World will ALWAYS be one of my favorites. That episode is my favorite of that whole show! And I always love the ones from How I Met Your Mother and New Girl! Thanks, Stephanie! This entry was posted in A Fortnight of Fright, Blog Event and tagged A Fortnight of Fright, Halloween, TV, TV episodes on October 22, 2014 by Brittany. Fortnight of Fright: I’m a Sleepy Hollow Fangirl! Welcome to our second annual FORTNIGHT OF FRIGHT event! Last year, Alyssa (Books Take You Places) and I really bonded over our mutual love of Halloween and came up with the idea for A FORTNIGHT OF FRIGHT: a two-week long event celebrating everything Halloween and horror-related! We decided to bring it back again this year and we have a TON of fun Halloween things planned for you! I am not a big fan of the scary side of Halloween, I must admit. I’ve been a chicken all of my life and now that I’m a big girl at 26, I’m not ashamed to admit it. Even as a two/three/four-year-old, I was ridiculously afraid of the aisle with the Halloween masks — like TERROR, would not go down the aisle, would not even LOOK at them while passing, tried to avoid that side of the store if I could. Why? I really have no idea, but I’ve always been a big ole scaredy cat. I’m not AS scared as I once was, but I’m still PETRIFIED of ghosts, haunted houses still make me want to freak out and panic, and I don’t do horror movies. One thing I can handle — and LOVE — is FOX’s SLEEPY HOLLOW. It’s not only because of Ichabod Crane (played by Tom Mison), although… Have you seen him? SLEEPY HOLLOW is such a fun show because there are so many elements to it. It does follow the traditional story line of the Headless Horseman terrorizing the town of Sleepy Hollow, but there is so, so much more than that. Time travel, witches, apocalypses of biblical proportions, demons, possessions, spirits — pretty much everything Halloween should be, which is why now is the perfect time to talk about it… And fangirl about it. Sleepy Hollow isn’t just horror. There’s a lot of really interesting history tie-ins (three corner hats, anyone?) — For example (ahem), Crane was in George Washington’s army in the Revolutionary War. There’s mention of the Boston Tea Party and how it really came about. We get a glimpse of what happened to the lost colony or Roanoke. And people speaking MIDDLE ENGLISH, holla! Along with THOSE fabulous elements, there’s also a lot of humor and witty moments! For one, I love that Ichabod Crane is a member of WASHINGTON’s army and that Abigail Mills’ commander is Frank IRVING. WASHINGTON IRVING! Ha! The show is full of other delightful cleverness and I’m so glad that they make it so enjoyable because for someone who’s easily spooked, the humor and other underlying story lines make it easy for me to enjoy the show and not be TOO creeped out by all the demons and whatnots! So how close is it to Washington Irving’s original story? Well… Not very. We’ve got the main characters, the Headless Horsemen, and the town of Sleepy Hollow of course, but so many things set in a modern-day world that Crane has magically plopped down into. I really do enjoy the liberties that the show has taken though! Now instead of a skinny, knobby school teacher, Ichabod Crane is a handsome and clever solider from a distant time who mentioned he was a professor at Oxford. He’s already won the heart of Katrina and they were married — well, back in his time. Obviously there’s a lot more paranormal going on than just a headless horseman and there’s SO much more modern versus historical weaved into the plot. None of that bothers me one bit though! I’m already a diehard fan of Sleepy Hollow and if you haven’t watched it yet, start out with the pilot and let me know what you think! Tell me, friends! Have you watched Sleepy Hollow yet? Are you as obsessed as we are? This entry was posted in A Fortnight of Fright, Blog Event, Books and tagged A Fortnight of Fright, BROADAXE, Halloween, Ichabod Crane, Sleepy Hollow, TV on October 25, 2013 by Brittany. 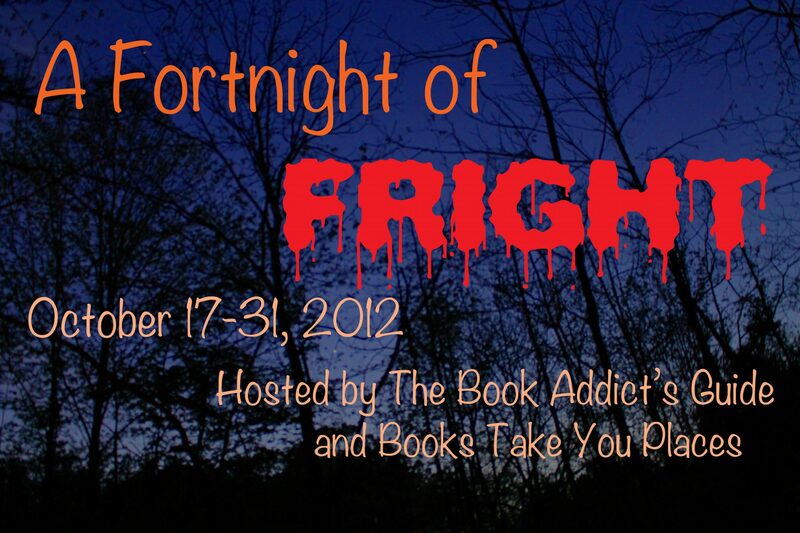 Welcome to A Fortnight of Fright! Two weeks of Halloween any way you can possibly see it, hosted by me (The Book Addict’s Guide) and my wonderful co-host, Alyssa @ Books Take You Places! In this edition of A Fortnight of Fright, we’re delving into our favorite Halloween TV episodes! I know scary movies are probably more popularly associated with Halloween, but my favorites have always been the TV specials and Halloween-themed episodes. Home Improvement: Home Improvement is notorious for its Halloween episodes. In fact, they made one almost every season, and as a child of the 90s, these episodes were one of my favorite parts about the season! I always loved catching these episodes on TV every year, and in fact, I even went as Heidi from Tool Time one year for Halloween! Thanks to Wikipedia, I’ve got a list of all of the ones that aired throughout the series, and thanks to YouTube (although I somewhat question the legality of these episodes being up on YouTube… but they’re up for our viewing pleasure nonetheless), you can watch some of them even if they don’t air on TV! Home Improvement: “I Was a Teenage Taylor” (1996) (Part One/Part Two/Part Three) **This is by far my favorite one!!! Boy Meets World: Boy Meets World has had its share of Halloween episodes, but my personal favorite episode of ALL TIME is definitely “And Then There Was Shawn” from season five. The kids are locked up in detention at school when a serial killer shows up and we get a hilarious parody and the Boy Meets World take of slasher films. How I Met Your Mother: How I Met Your Mother is still one of my favorite TV shows. Going all the way back to season one, we have the episode of The Slutty Pumpkin (it was carved in strategic places). I think this episode is hilarious, and although I wasn’t really a fan of The Slutty Pumpkin Returns (featuring Katie Holmes as said Pumpkin), I applaud HIMYM for closing that loop! And of course, I love Barney’s costume ideas. Two Guys, A Girl, and A Pizza Place: Remember Ryan Reynolds before his movie career? I sure do. He was Berg on Two Guys, a Girl, and a Pizza Place! This was a hilarious little sit com and well, the title implies it all. I remember their Halloween episodes being some of the best! Sadly, I couldn’t find ANY of them on YouTube (I would have loved to see them again!) but hopefully someone else remembers them too! Others with honorable mention: The Office Halloween episodes (mostly because I love the costumes they come up with and one of my friends showed up in Jim’s 3 hole punch costume one year!! ), Sabrina the Teenage Witch, Modern Family, and Chuck. What did our fellow bloggers have to say? Amanda at Appraising Pages shares with us her favorite Halloween episode of Buffy the Vampire Slayer! 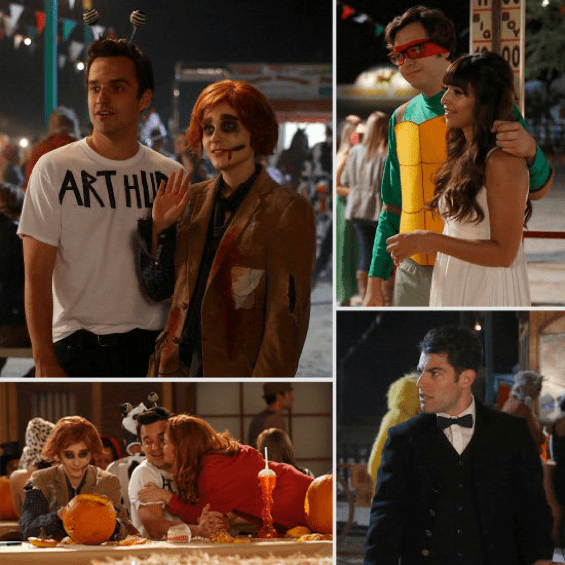 This entry was posted in A Fortnight of Fright, Blog Event and tagged A Fortnight of Fright, Boy Meets World, Halloween, Home Improvement, How I Met Your Mother, TV on October 25, 2012 by Brittany.